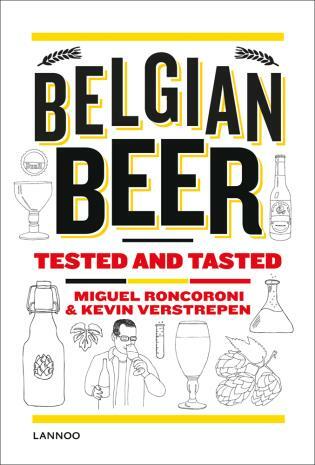 Beer Professor Kevin Verstrepen and Beer Doctor Miguel Roncoroni put 250 Belgian beers to the test in their lab, resulting in a complete encyclopedia with scientific analyses of the taste and aroma profiles and the chemical composition of beer. The beer team of the Flemish Institute for Biotechnology (VIB) went into the laboratory for 2 years to subject 250 Belgian beers to thorough chemical analysis and to a panel of objective guinea pigs. The result is this definitive guide, which finally decomposes the complex composition of our favorite barley into the molecule and illustrates it for every type of beer lover. Get to know which flavor you prefer and search for similar flavors and varieties amongst the huge range of Belgian beers. Kevin Verstrepen is professor of genetics and beer science at the Katholieke Universiteit Leuven and conducted research on beer at Harvard and MIT. In collaboration with Miguel Roncoroni, who obtained his doctorate from the wine lab of the University of Auckland and a team of 15 scientists, he worked for years on chemical analysis, blind testing and objective comparison of the 250 beers in this guide. Together they decided to combine their knowledge and expertise to finally give Belgian beer the in-depth research that it deserves.